Want to see more propaganda?! 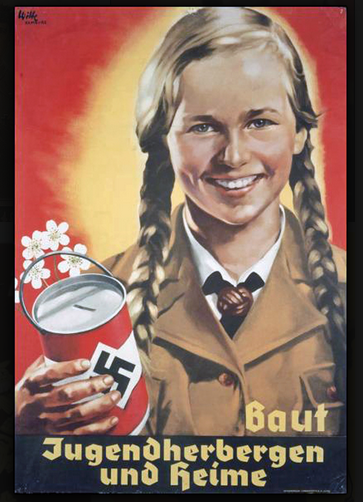 The Aryan Race was a huge target audience for Hitler. He thought of them as the ideal people for his nation. 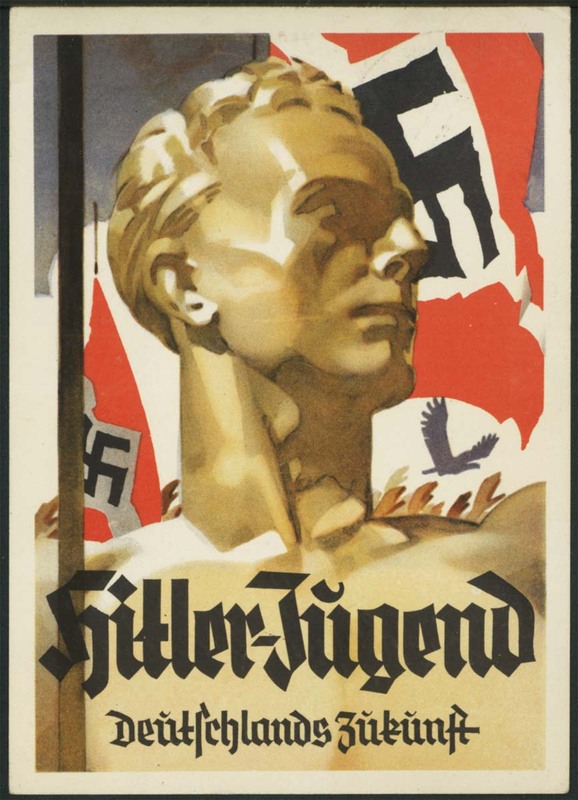 Most of the German people on the posters seen in the Exhibit are Aryan. 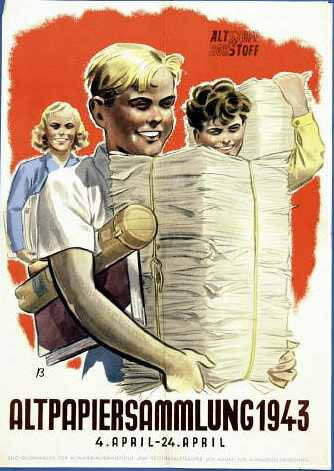 Hitler was so dedicated to targeting the Aryans, he made it mandatory for all children to join Hitler’s Youth. His posters made it seem fun. He used strong attractive young men and women to advocate for others to join and become one of them. Due to the economic turmoil Germany was facing in the beginning stages of Hitler’s rise to power, Hitler used his propaganda to reach out to the unemployed, promising them jobs and other work. 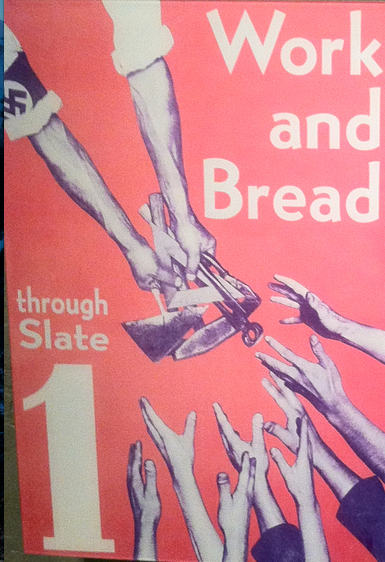 Women were also targeted during Hitler’s rise. 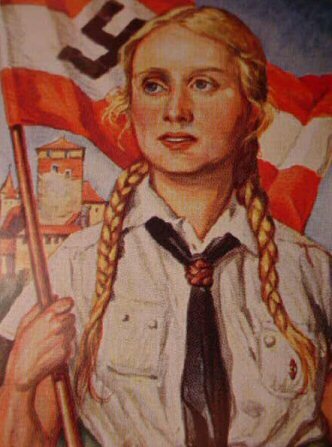 Propagandists created posters, painting the Nazi party as defenders of traditional role of women in Germany, the family and Christianity. 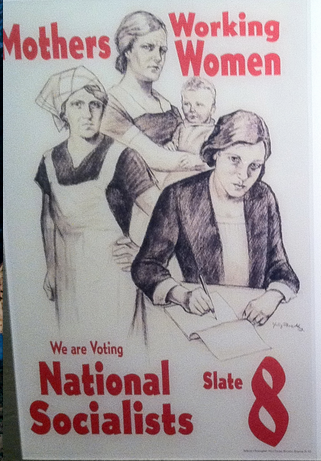 This poster was targeted to appeal to mothers and women-workforce.